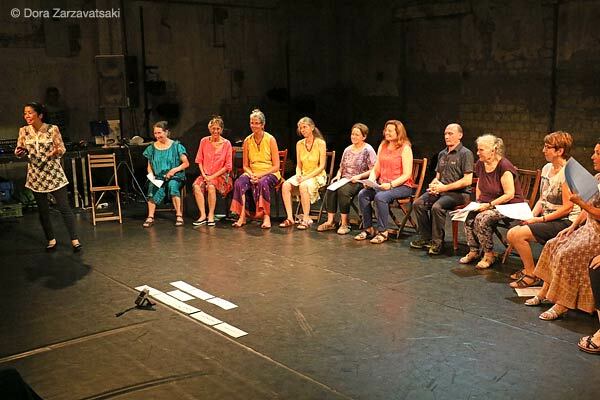 Photos from Shomyo workshops in La Croisée des Cultures, Geneva, Swiss. - 28 & 29 January, 2017, Shomyo Buddhist Chanting workshop at Ateliers d'Ethnomugicologie, Geneva, Swiss. Beginners: 28th 10:00~12:30. 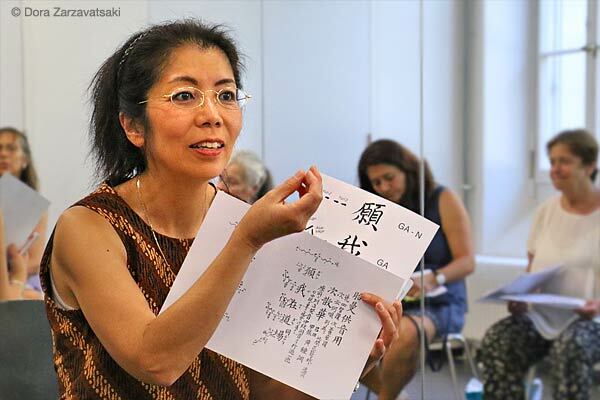 Advanced group: 28th, 16:00~19:00 / 29th 10:00~12:30. - 1 & 2 April, 2017, Shomyo Buddhist Chanting workshop at Ateliers d'Ethnomugicologie, Geneva, Swiss. Beginners: 1st 12:00~14:00. Advanced group: 1st, 16:00~19:00 / 2nd 10:00~12:30. - 13 & 14 May, 2017, Shomyo Buddhist Chanting workshop at Ateliers d'Ethnomugicologie, Geneva, Swiss. Advanced group: 13th 16:00~19:00 / 14th 10:00~12:30. More info, please use contact form. 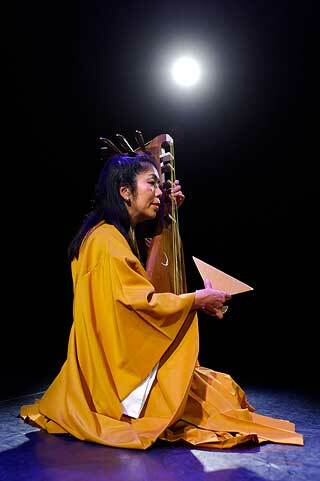 On the 27th May Junko Ueda appeared in the Radio Télévision Suisse, Espace 2 in the program called 'Magma' including her live performance. The broadcasting can be listened by clicking here. 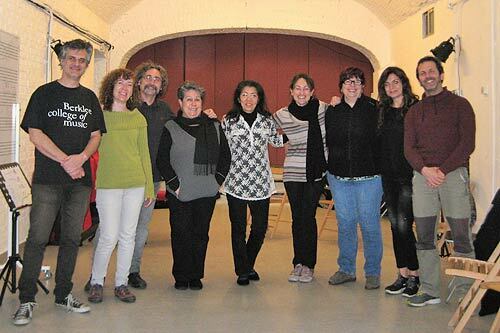 Photos from Shomyo workshops in Gendronniere (France), Madrid (Spain) and Geneva (Swiss). 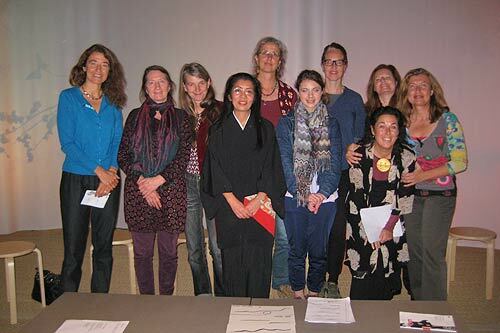 12 & 13 March, 2016, Shomyo Buddhist Chanting workshop at Ateliers d'Ethnomugicologie, Geneva, Swiss. Advanced group: 12th 16:00~18:30 / 13th 18:30~21:00. Beginners: 13th 10:00~13:00. More info clic here. 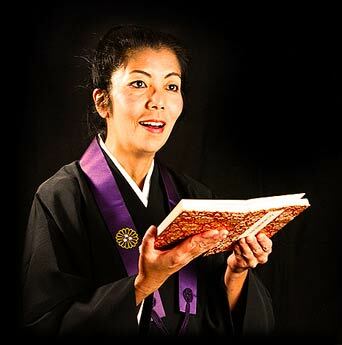 9 & 10 April, 2016, Shomyo Buddhist Chanting workshop at Aula de Musicas, Madrid, Spain. 9th 16:30~19:30, 10th 11:00~14:00. More info clic here. 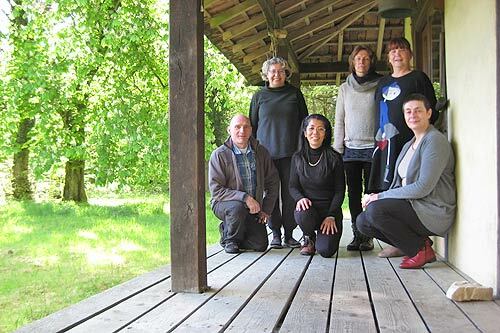 28 & 29 April, 2016, Shomyo Buddhist Chanting workshop at Zen Temple of La Gendronnière, France, in the events of 'Arts et Santé'. More info clic here. 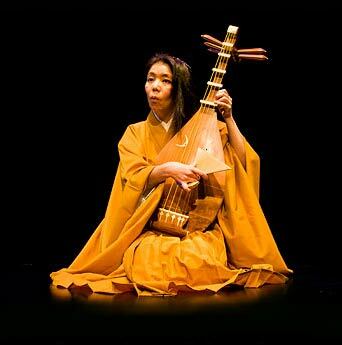 27 May, 2016, 20:30, Biwa solo concert at Festival Arkhé, Bussigny, Swiss. More info clic here. 28 & 29 May, 2016, Shomyo Buddhist Chanting workshop at Ateliers d'Ethnomugicologie, Geneva, Swiss. 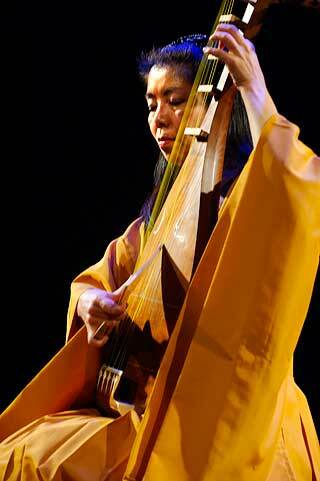 Advanced group: 28th 13:30~16:00 / 29th 18:30~21:00. Beginners: 29th 10:00~13:00. More info clic here. 2 ~ 7 September, 2016, Shomyo Buddhist Chanting workshop at Paxos, Greece. More info clic here. 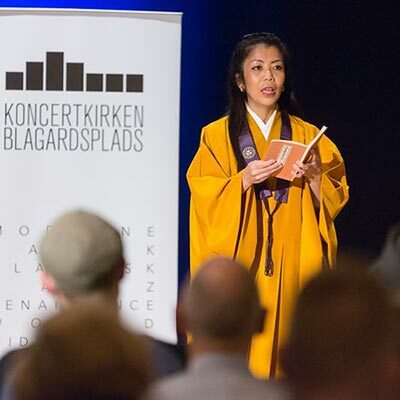 25 October, 2016, Shomyo Buddhist Chanting workshop at National Conservatory Superior of Music and Dance in Lyon, France. 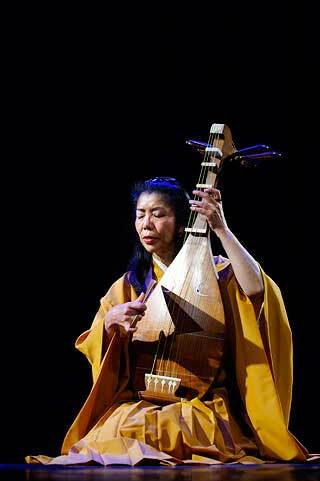 26 October, 2016, Biwa solo concert at National Conservatory Superior of Music and Dance in Lyon, France. 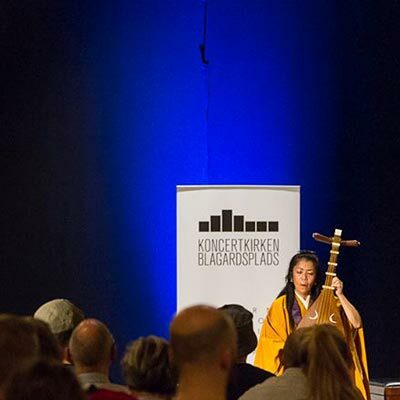 26 & 27 November, 2016, Shomyo Buddhist Chanting workshop at Ateliers d'Ethnomugicologie, Geneva, Swiss. More info clic here. 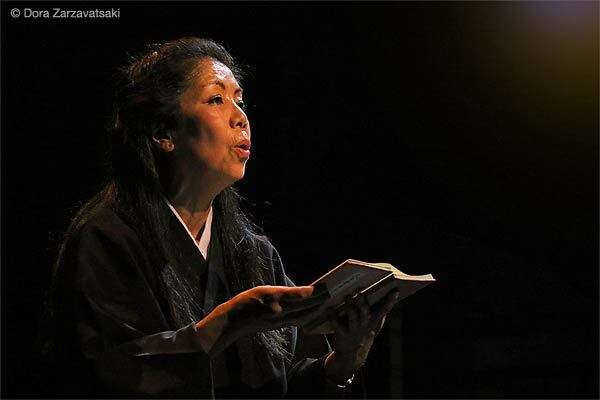 On the 20 and 21 November,2015, surrounded by full of audience, Junko Ueda presents her recitals of Epic Story of Heike at Maison des Cultures du Monde in Paris. 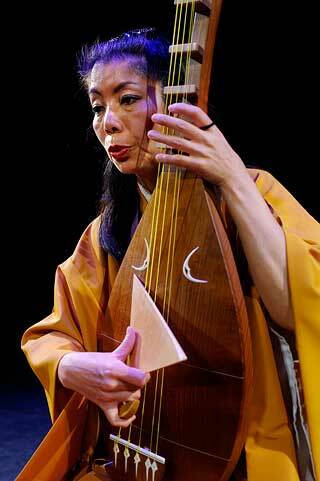 In this tremendously difficult moment, what we need now is music. Let's play for Paris! 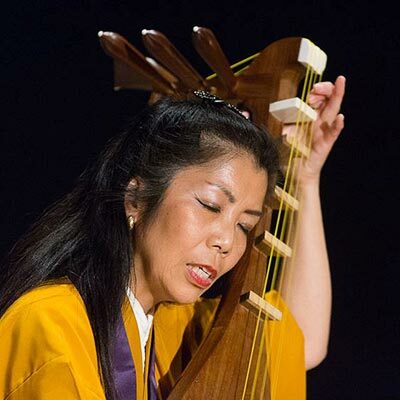 On the 1st November 2015, Junko Ueda gives her recital "The Epic of The Heike" at Bourgie Hall in Montreal, Canada, performing four pieces: Dan-no-Ura; Shunkan; Yoshitsune; Gion-Shôja. This concert is presented with English and French subtitling. Next day, she presents her shomyo workshop at University of Montreal. 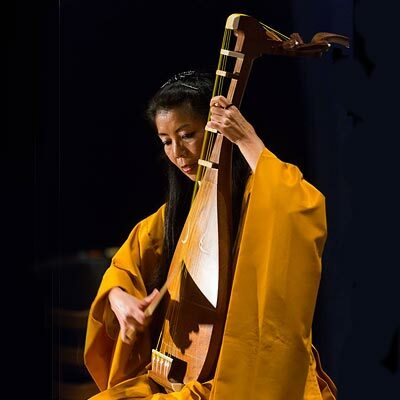 On the 27th October at Comedie de Geneva, Junko Ueda participates among 30 artists in the Marathon concert by the Geneva based chamber orchestra Geneva Camerata. 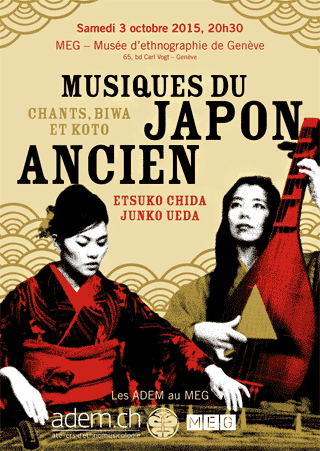 October 3, 2015, 20:30: Double concert 'Musiques du Japon Ancien, Chants Biwa et Koto' at MEG - Musée d'ethnographie de Genève. 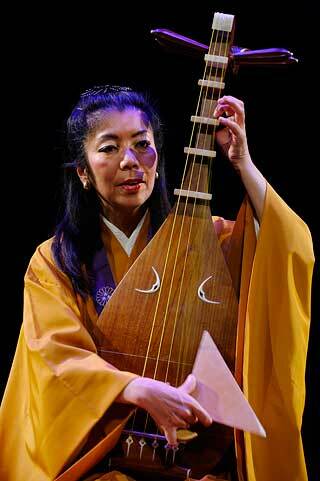 Solo concert at Copenhagen World Music Festival in Koncert Kirken. 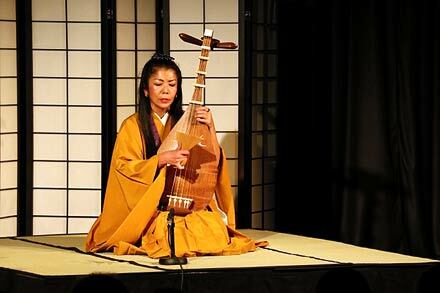 •	July 8, 2015, biwa solo concert, Devonshire Square, City of London Festival, UK, on the occasion of Festival Satsuma 150 (the 150 anniversary of the arrival of the Satsuma Students in the UK).